Knead the minced meat with the crumbled slice of bread, onion, egg and all the spices. Leave the mixture in a fridge for about 30 minutes. Make small meatballs, covered with flour. 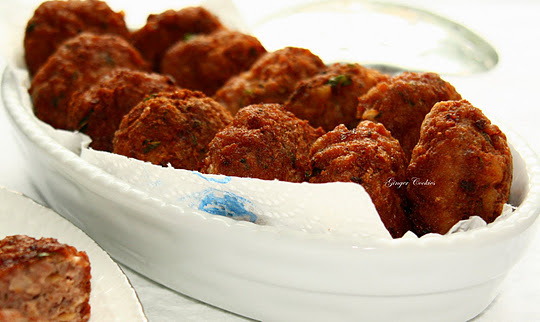 Fry the meatballs in a preheat vegetable oil. I love Bulgarian Fried Meatballs! They are the best!